For the fast answer to this question, please view the above video tuition. The answer to this question does not lay in which make up brand you use, or how much money you spend on your foundation - The answer lies in how your foundation feels on your skin, how it settles and how it looks. As a cosmetic camouflage practitioner I get asked to cover up scars, burn marks, port wine stains, birth marks, broken capillaries, Rosacea, eczema and all other skin conditions and discolourations. When I am doing a wedding, I often get asked to cover up a tattoo or two! 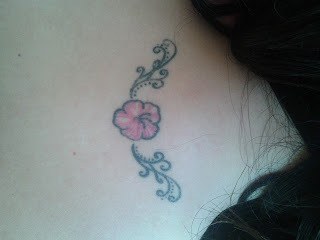 Below I will outline how you can cover up your own tattoo using Cosmetic camouflage creams. There are many creams available on the market, my product of choice is Dermacolor by Kryolan - this is endorsed by many companies including British Association of British Camouflage and Skin Camouflage Network. Some of the products are also available on Prescription if your doctor gives you a prescription for the product - otherwise you can buy it direct from Charles H Fox.